City of San Diego GOP politicians aren't trampling over each other to greet POTUS. Dems in disarray in 49th congressional race. 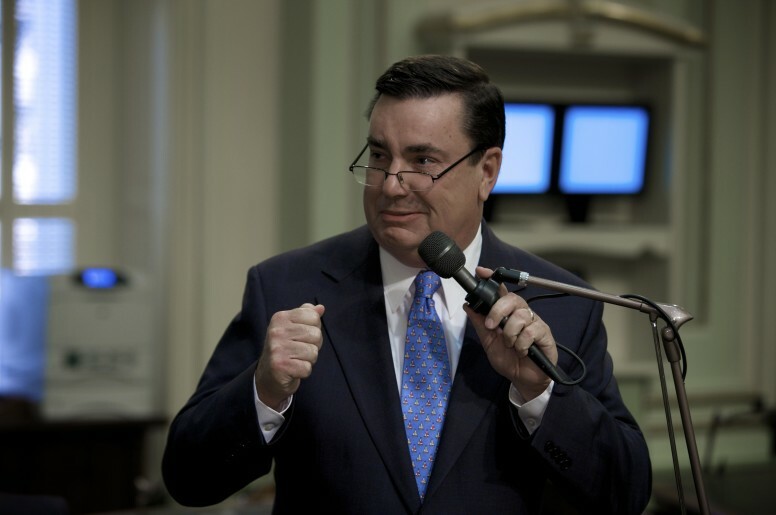 A state senator sets his sights on Board of Equalization. President Trump is coming to San Diego. He wants to check out the prototypes for his border wall. He’ll also go to Los Angeles to raise money. It’s not clear when he’ll arrive. The president would be warmly welcomed in some areas of the country. But here, we couldn’t picture which local politicians would greet him. Rep. Duncan Hunter, Jr. was the obvious pick. He was one of the first people in Congress to endorse Trump, but Hunter is in a little trouble. Trump seems to have infinite tolerance for his own drama but a profound distaste of other people’s. We put Hunter’s chance of appearing with the president at 58 percent — likely but not guaranteed. What about city of San Diego politicians? The wall prototypes are in the city of San Diego. Which Republican would consider hanging out with Trump for some photo ops pointing at the walls? No Democrat is going to be caught anywhere near that scene, except at a protest. So we asked City Council Republicans and the mayor if they had any plans to appear with Trump, whether they would meet with him, if he invited them, and what they think about the wall. Councilman Mark Kersey: Did not respond at all. Councilwoman Lorie Zapf: No response. Her representative said she was in Sacramento and could not be reached. Councilman Scott Sherman: “The Councilmember would be willing to meet out of respect for the office, not necessarily the individual currently holding the office,” wrote Jeff Powell, Sherman’s spokesman, in an email. The mayor: “Mayor Faulconer will always welcome the President to San Diego as he did with President Obama in 2014, but our office hasn’t been notified yet of any visit,” wrote spokesman Craig Gustafson. “The Mayor has made it a top priority to build bridges with our neighbors south of the border – including a visit with the Mexicali mayor (Friday). 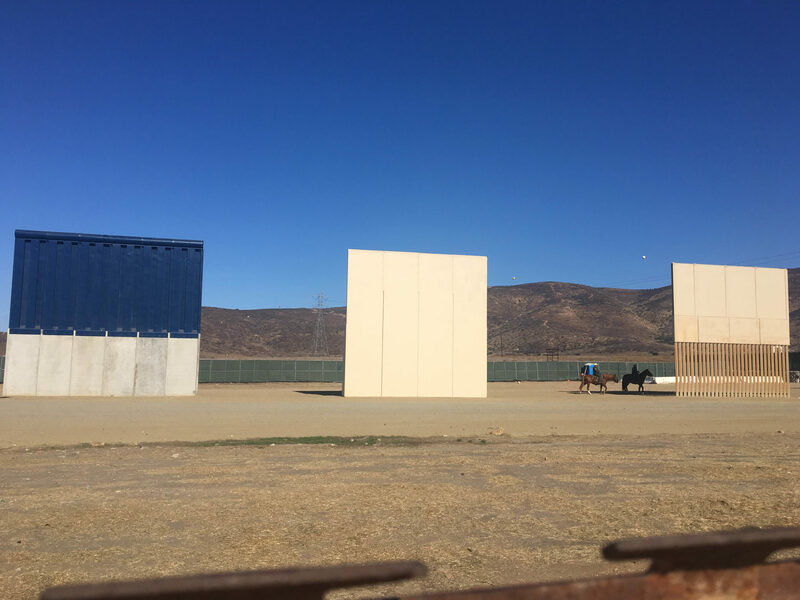 San Diego already has a border fence and it works because it also has a point of legal entry with technology and personnel to support it,” Gustafson wrote. State Sen. Joel Anderson would love to greet Trump. “I’d do it in a heartbeat. I support the wall and don’t quibble about it,” Anderson told us. But we had more questions for him. Why didn’t Anderson run for Hunter’s congressional seat? But the term on the board would stretch past 2020 and he’s said he plans to run for county supervisor then. Background: Anderson believes Democrats in the California Legislature will push forward a ballot measure to eliminate the Board of Equalization altogether. That could happen within two years — just in time for him to take another job on the Board of Supervisors. He had previously raised money to run for the county supervisor seat held by Dianne Jacob. But, he didn’t run. She’ll be termed out after 2020. Jacob had angered Republican Party leaders for supporting limits on how much the parties could donate to candidates. More: The seat on the Board of Equalization is being freed up by Diane Harkey, who decided to run for Congress herself in the district U.S. Rep. Darrell Issa is representing until the end of the year. It is the Fourth District of the Board of Equalization, which represents 11 million people here, in Imperial Valley and parts of LA and Orange County. It’s kind of a big job. Members of the board get large staffs and a full-time salary to review property tax assessments and other tax collections across the state. Last year, the board’s duties got slashed. 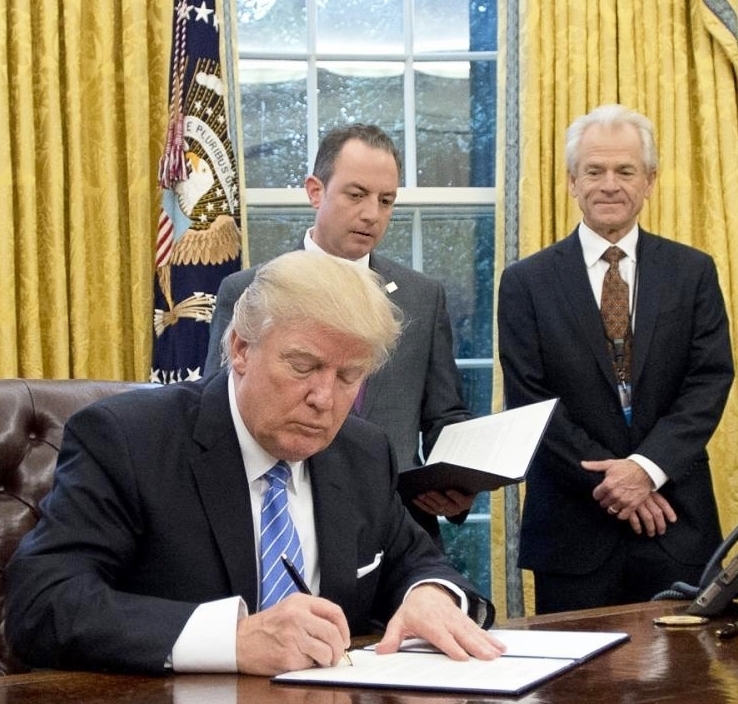 President Donald Trump with former chief of staff Reince Priebus and National Trade Council Director Peter Navarro. Photo courtest Wikimedia Commons. The president announced this week he would soon implement steep tariffs on steel and aluminum. 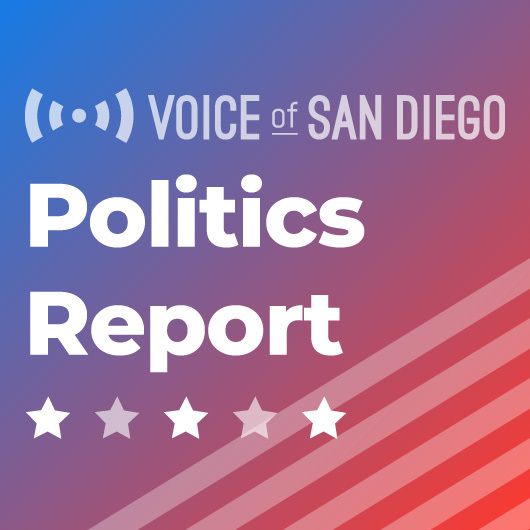 It drew attention to his administration’s chief proponent for mercantilism: Peter Navarro, who ran unsuccessfully for mayor, City Council, congress and county supervisor in San Diego. (If you’re reading this Sunday morning, Navarro is set to appear on CNN’s State of the Union). Navarro nearly became mayor in 1992. He finished first in that year’s primary. He drove a — stop me if this is familiar — populist wave dissatisfied with establishment politics and convinced the economy was rigged against it. He even coined derisive nicknames for his opponents. (He was a Democrat. Hillary Clinton hosted a fundraiser for his ’96 congressional run). Navarro built his brand through his group Prevent Los Angelization Now, or PLAN. It was San Diego’s entry into an anti-development wave that swept California in the ’80s and ’90s. It all sounds familiar: Tom Shepard ran Susan Golding’s campaign against Navarro in 1992, plus campaigns against him for City Council and congress. “He hates my guts,” Shepard said. But Shepard said Navarro’s anti-trade arguments are similar to his old, anti-development views. “They’re both fundamentally populist messages that start from the presumption that someone is out to screw us and we have to do something drastic to right these wrongs,” Shepard said. He’s good at this: Lisa Ross worked for Navarro’s campaigns and still agrees with much of PLAN’s perspective. Still, she sees the connection. After Navarro’s failed congressional bid, Ross worked on Proposition M in 1998, a smart growth proposal that won support from developers, environmentalists and community groups. She said Navarro never forgave her. One more similarity: Both Shepard and Ross described Navarro as a naturally gifted and charismatic politician who knew how to work the media and had a love-hate relationship with it. Mike Levin alone at the debate hosted by Flip the 49th, a super PAC. Photo by Jamie Scott Lytle. Friday was meant to clarify which Democrats should leave the race to replace Issa. Instead, it clarified that the 49th District race is a mess. The pressure is on to force out at least one high-profile candidate. 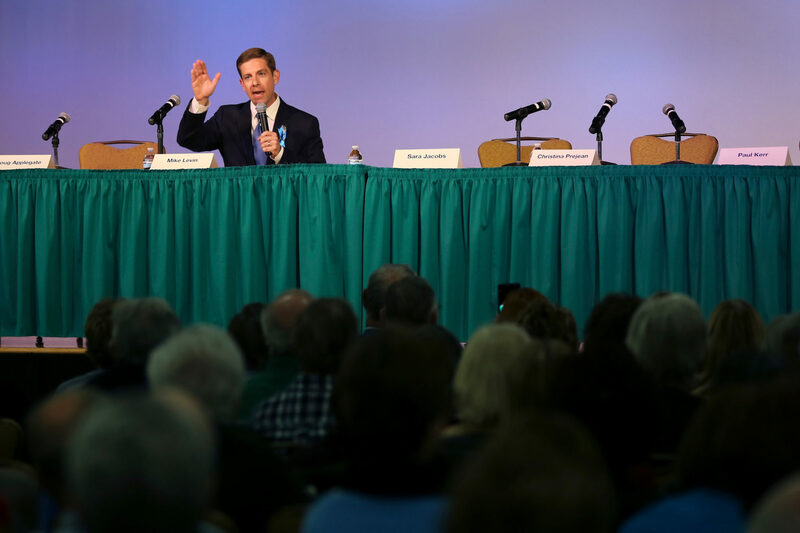 The big idea: The political action committee Flip the 49th held a forum Friday for the five Democratic candidates to make the case for their political viability. Doug Applegate, Mike Levin, Sara Jacobs, Paul Kerr and Christina Prejean were all scheduled. Dems want fewer candidates to stem the risk of two Republicans advancing past the June primary. What went down: Applegate announced Friday afternoon he was bailing on the event. Jacobs did the same. Her campaign determined there was legal risk in participating in a forum held by Flip the 49th, which, as a super PAC, can’t coordinate activities with a candidate. “A member of our campaign expressed this concern to Flip the 49th! several weeks ago, and because a clear firewall has not been established, we’ve concluded our campaign is still at risk,” she wrote on Facebook. Kerr later announced he wasn’t going either. “If the Republicans were to attend a forum hosted by the Koch brothers we would rightfully call them out for this,” he wrote. It’s not nothing: Prejean attended just to say she was dropping out of the race. Prejean was polling at just 1 percent, but then again Applegate lost to Issa in 2016 by less than 1 percent. Levin alone: It all left Levin on stage surrounded by empty chairs. He fielded questions and got some face time, but it wasn’t the decisive evening that the hosts wanted. In case it wasn’t clear, Democrats are desperate to clear candidates from the race so they don’t risk diluting the primary vote so much that no Democrat makes the runoff. They’ve got until March 14. The filing deadline is March 9, but if an incumbent (Issa) doesn’t file for re-election, that gets extended another 5 days. After March 14, the ballot is set. If someone drops out after that, their name will still be on the ballot. Got a political tip or piece of your mind for Andrew and Scott? Write andrew.keatts@voiceofsandiego.org or scott.lewis@voiceofsandiego.org.